Sick of feeling like crap?! This 12 week Ayurveda Wellness Program helps busy people organize themselves to feel better in their bodies. Together, we explore mind-body goals and design a personalized habit plan so you can maximize your time for what you want to do. 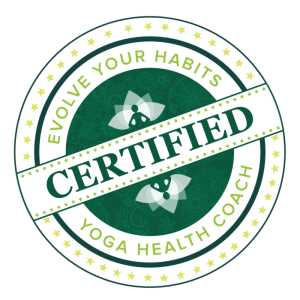 Blending Ayurvedic practices with Evolutionary Habit Science and lifestyle design. I have created simple steps for easeful living. Are you ready to make a personal plan for self care? Are you ready to redesign the way you age? Are you ready for more joy in your life? Whether the goal is to lose weight, increase vitality, improve focus or reprogram your brain, this self care program will guide you to your next steps to feeling your best. Rewire your nervous system to become the potential you dream of. We will journey into a daily habit experiment with Ayurvedic routines and brain science so you can put it to work for you. Happiness flourishes from great health, and great health flourishes from our daily routines. To invest in yourself, in your time and health long term.